Eurostar train services have been suspended after the Channel Tunnel was closed “until further notice” following a fire on a truck. 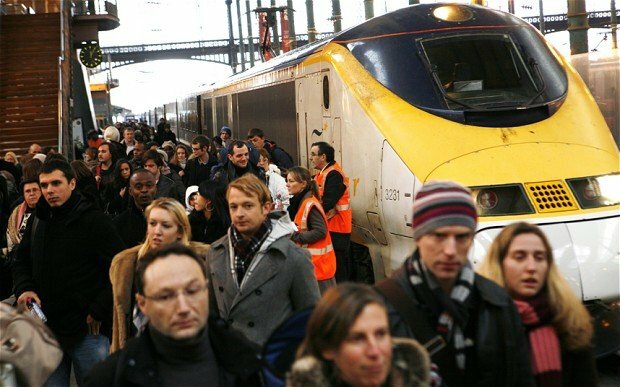 Eurostar says all its services for January 17 have been cancelled and trains have returned to their stations. It has told people expecting to travel to postpone their journeys and not go to the station. The spokesman said the fire had led to the closure of both tunnels, and that there are currently no trains in either. The truck is being recovered and the fire was being dealt with by the French authorities, he added. “Rail passengers are advised to expect significant delays whilst the vehicle is being recovered and fumes are cleared from the tunnels,” the spokesman said. Eurostar, which operates train services through the tunnel between Paris, London and Brussels, said in a statement: “We are sorry but we are unable to run any further trains today because Eurotunnel has been closed due to smoke detected in the north tunnel. Eurostar’s customer care number is 03432 186 186 in the UK, or +44 1233 617 575 for people outside the UK. John O’Keefe, a spokesman for Eurotunnel which transports freight through the Channel Tunnel, said inspectors were sent into the tunnel after two smoke alarms had been triggered. Eurotunnel also said that passengers on a Calais to Dover train were evacuated from the Channel Tunnel “without incident”, following the smoke alert.